Our goal here at the Tomato is to educate Real Estate Professionals on the fine art of successful business blogging. Now that our Active Vine of Blogging Clients has grown well past the 100 mark, it’s obvious we have an army of savvy real estate bloggers. In an effort to bring real, first hand knowledge to our readers, we will be collaborating with the Tomato Bloggers in the form of a weekly post. Monday’s articles are now the result of the collective writings of our clients around a Blogging Advice Topic that we discuss in a private forum. What Makes Real Estate Blogging Better Than Pay-Per-Click Campaigns? Pay-Per-Click advertising is an effective traffic generator while you are paying, but as soon as you stop paying, the traffic ceases, as does your increased presence online. 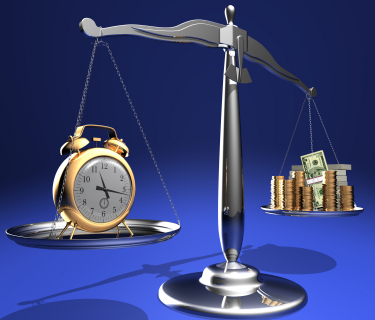 There is a direct correlation between money spent and traffic to your site. This creates an addiction that is hard to break. By developing a collection of news worthy blog articles, and in turn, establishing yourself as an authority in the search engines, you will retain search engine traffic for as long as the topics you have blogged about remain relevant. With Pay-Per-Click, the only writing you get to do is checks. With blogging you are actually creating a chronicle of your career in real estate. What were you thinking about back in February 2007? Every article you write is not only a deposit into the bank of longevity, but also a deposit into the bank of keyword combinations for which you will continue to be found in the Search Engines. Taking the time to develop an article around a topic generates combinations of keywords far beyond the scope of a pay-per-click campaign. One article might be written around one set of keywords, and yet generates dozens of combinations because of the association of terms throughout the text. With PPC, you are limited to your imagination, foresight, term suggestion tools and your budget. Where Do You Look for the Best Results to Your Searches? Studies show that more people are clicking as much as 6 times more on the organic sites rather than the PPC results. Bottom line, if you are not achieving organic placement, and stuck paying for sponsored placement, you are missing out on the majority of your potential traffic. Your audience understands the difference between an advertised placement and an organic result in the search engines. This audience is bound to trust you more upon visit to your site if they feel that you have earned your way to the tops of the charts through hard work, dedication and focus. The experience your visitor receives upon the visit only adds to the trust factor. A well organized, passionate blog, dedicated to the education of your visitor accelerates the “Speed of Trust” in building a relationship with a potential client. Pay-Per-Click leads are most commonly generated by sending a visitor to a landing page or a lead generation form. The fast acquisition of a lead this way, although efficient, usually has you dealing with someone who still wants to maintain their anonymity. Because there was no relationship before the contact, it can take months of forced incubation to get develop the trust you’ll need to convert the lead. Blogging is the relationship, and the relationship is the lead generator. Did Your Audience Find You to be the Result They Were Looking For? Google Ad Words is becoming more proficient at posting ads in search results pages (SERPs) where the purchased campaigns are marginally relevant. The idea is to create more exposure, generating more clicks for their clients. The only challenge is that the ads that are appearing in the sidebars of search results pages are less and less relevant to the actual search. When you blog about a topic, you are writing ‘around’ the subject. When a less popular search is performed and your articles are a top result, it is generally because you are ‘spot on’ relevant. The act of blogging is free. Sure, an investment is generally made for any site’s design and functionality, as well as for the hosting and service. But the future investment is strictly made in time. The longer you blog and the more articles you create, the more valuable your site becomes. The cost of a Pay-Per-Click campaigns depends on your budget Minimum budgets start in the $100s per month, heavy campaigns run into the tens of thousands. However, this cost is never ending, and in most cases always climbing per keyword phrase. If you have successfully marketed yourself, the impression is that you can do the same for their home. What Does Your Online Presence Tell Your Potential Client? A Pay-Per-Click campaign is an easy way into the search engines. Anyone with a budget can swing it. Blogging takes discipline, skill, focus, dedication, and savvy. The huge reach your blog has in the search engines is a testament to your current and future clients that you understand and have what it takes to be a master online marketer. If you have successfully marketed yourself, the impression is that you can do the same for their home. A pay per click lead is like finding a wallet in the parking lot; just a name and contact info. A blogging lead is like a referral. The customer feels like they already know you. Its almost as good (maybe even better) than third party validation; I control the information feed. If someone reads my blog and calls me, they know more about me than if I was referred to them by a past client. A recent relocation client found me via my blog/vlog. When we finally met, she had a familiarity with me that was similar to knowing me for a long time. I almost felt like I was at a bit of a disadvantage at first. I had to ask a lot of questions to get the same sense of comfort with her as she had obtained “virtually” with me. Thank you everybody for your participation. I look forward to this week’s discussion, see you in the Matrix. Jim for anyone trying to decide where to invest their time and money this article gives great real world experiences backed up with scientific research. We’re thrilled to have found blogging and are now able to leave more money in our own pockets :-)- Pay Per Click keeps getting more and more expensive too. Thanks for the opportunity to contribute to this article. I keep getting calls from people wanting to sell me Pay-per-click. One just this week told me she would put me on the first page…even in the top five for “Wasilla Real Estate”. That happens to be one of the key words that I’m targeting . I asked her to pull up google for that, (I knew that I was number 3). I asked her if she could beat that, and she said she could. With pay-per-click I would be in front of where I am now. Of course, I said no thanks. I know that most people just ignore the paid links at the top and on the side and go for the real meat. With your help, not only am I at or near the top for the words I am targeting, wit the long tail, I am at the top for many words I haven’t even thought about. I find people searching for them all the time on sitemeter. I’m even at the top of google for many of my competitors names. I might mention their listing on my blog and what do you know…it’s part of the long tail. For the month of September, my Google Web Masters tools told me that the second highest way that my site was clicked through from Google, was a brief post I made two years ago that advocated FHA licensing for mortgage brokers. I agree that keywords play an important roll in SEO, but the beauty of blogging is that you can become found for results you never dreamed of. Right on! Build a content rich site that indexes well in the search engines. Invest in the site and content first. Then add pay per click as a supplement. Great idea to have this weekly post. I really look forward to learning from my fellow tomato bloggers in the future. Great information from some Hot Tomatoes. Google and Yahoo are gonna hate it. Great work Tomato team. It’s so nice to see this idea come to life. Solid information as well! Good point about the quality of readers. Not all readers are equal and leads are just leads. I am finding that the people who find me because I am number one in Google are not the same as people that come in through the long tail using the more obscure search strings. The obscure strings generate contacts that are more likely to become clients. Good solid information and great discussion with all the juices on the tomato vine. Good idea Mary! It’s working. Why Pay when you can get results for FREE! It was sometime in 2000 that I discovered GoTo.com and their super-cheap pay per click program. I was pretty much a Lone Ranger in those days, and was able to get terms like “San Diego MLS” and “San Diego Real Estate” and “San Diego Homes” for just a few cents per click. A few cents? How about 2 or 3 or 5 cents per click! The pay per click bids became a little more competitive, and some were even topping .50 a click. Still, it was a program that worked for us. We had over 400 terms that could translate into clicks and our real estate business exploded. In a predictable move, Yahoo acquired Overture in late 2003, and the bidding to place at the top of Yahoo search became very competitive. Soon, Google entered the world of pay per click advertising and budgets changed along with our long, long tail. Google offered a different–and more expensive–bidding format. Not as transparent as Overture, you placed a maximum bid and checked their charts to see how you might place. You could set a daily budget with Google, and ours was $65.00 per day. By 2004, our pay per click advertising budget had exploded to over $4000 per month. Costs for terms such as San Diego Real Estate, Del Mar Real Estate and Carlsbad Real Estate had gone to $2 or $3 or $4 per click–if you wanted top placement. We reasoned that it was a small price to pay for the business that came our way. By 2005, website hits had started to dwindle just a bit, but we attributed that to a slight shift in the market and the number of websites against which we were competing. By 2006, I knew that organic placement would be our ticket to freedom. Pay per click advertising had become prohibitively expensive for key search terms and I was determined to make a break from our dependence on paid clicks. Shortly after I started blogging on Active Rain in August, 2006 I began to see the light. Blogging attracted Google in a way that our framed websites never did (at least beyond some basic terms). And after a couple of months, I knew that blogging would be our salvation and would provide the liberation we needed from pay per click advertising. It was just a year ago that I called Jim Cronin about creating our first “outside” blog. It took several design changes, but Luxury Home Digest made its debut in December, 2006 and shortly thereafter, I put all pay per click campaigns on hold. It is such a relief to be free from pay per click advertising and my advice to anyone new to internet exposure would be to blog your brains out and incorporate all those expensive search terms into your writing–but in a natural and relaxed way. Far better to put your time, effort and money into a blogsite that brings you business–and friends such as we find on the vine. Great job putting together all of the great thoughts and quotes from this weeks forum topic. I think the biggest Ah-Ha for me is the awesome opportunity that blogging gives you to have a voice on your market and your community that can be heard across the world. What a incredible way for folks to receive first rate, in face information. 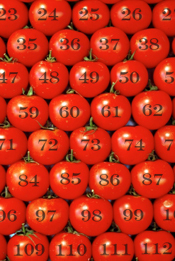 Look forward to next week…see you in the Tomato Forum! HAPPY BIFFY JUICE MAN…have a Grrrrrrrrrrreat one! Great article. I tried ppc a few years back and got some decent leads from it, but at significant cost. Since I started the blog earlier this year the results have been wonderful. Great article! I just started blogging in Feb2007 and found that content alone can put you at the top of the search engines- no need to pay for it. Amen…. I dropped ppc even before I started blogging as it had got too expensive. Now the blogging is taking up the slack and it is paying off. I just can’t type fast enough! In the first quarter of this year alone, the ROI on PPC was down on average 43% and costs for PPC ads had risen 20%. PPC just isn’t the way to go…not a good business decision as you so aptly point out. Great article…BLOG YOUR BRAINS OUT! The internet was built for this! Blogging seems like the marketing strategty of TODAY while Pay-per-click seems to be the hot trend of YESTERDAY! I really think you’re on the hot track with blogging! GREAT PIECE! Woe is me! Woe you will be if you try out the PPC hell. I have had the opportunity to participate in internet lead generation where cost per lead hit $65 (those were low quality, long term internet leads), before I could get out! That’s the bad news. The good news(?) is that I set up a complete long tail program, for my PPC program and got the cost down to $12. Ahh, sweet success! Of course the worm turned, the market slowed down, the mortgage horror hit and people looking dropped by about 90%. Recently discovered the fine art of blogging. Only just got started and look forward to expressing myself to my prospective clients. Hopefully my quirky personality shines through and has an appeal. Still have to figure out how long, how many articles it takes to get organic. Truly terrific information. This is a must read for anyone who is curious about blogging and what the benefts are. I really liked your points about the long tail and organic search results. With quality content your site can make it to the top of the search engines with only time as the investment. It is fact that blogging is a discipline which needs a dedicated focus and skill. Moreover, if your blog gets listed in the search engines, it will also add an increased trust on you. Thus it also becomes important to give out very informative blogs which attract large readership. A blog is one’s years of hard work where you establish yourself through your strong articles. But now through PPC, the whole sense of effective blogging is lost though I am glad to see that free blogging still dominates. However, all is still not lost and we can still keep up in this race. It was really a pleasure to read your post. Please feel free to leave a reply on http://blog.secondspace.com/. You’ve made a lot of very excellent points in this write up and I do agree with some of them very much. However, I must disagree with your assessments with regards to PPC. PPC and affilate marketing can provide a large and robust amount of rewards if you understand ho to use them. They can provide high visiblity. You can customise your niche and keywords with flexibility. And, you can measure how well your ads and keywords are doing. PPC costs money, yes but for good reason. Blogging, despite of all its potential advantages is still a relatively new medium of advertisment. It’s going to take a little while before it can reach the same level PPC has reached. Most of my arguments for PPC are actually based on this article, http://www.online-marketingsolutions.com/Pay-Per-Click-Management-Elements-pg5017.html. So I suggest visiting it. Anyway, you’ve made some very excellent arguments. And it was a pleasure getting a deifferent opinion on the merits of PPC marketing. I appreciate you trying to see things from the other side of the tracks. 1. What does being new have to do with anything? That’s like saying that a new type of bat isn’t going to hit homeruns well because it is new. 2. What level are you talking about? Blogging has me not only incredibly competitive for the search phrases I seek out, but thousands of other terms I could never have anticipated which bring me excellent traffic as well. In addition to this unmatched exposure, I have also earned a near permanent placement for these terms… all for free. Why blogging has surpassed the PPC model for exactly those reasons. Sorry, but I’d be a fool to spend the time and money with PPC that it would take to match all that has been accomplished with this “relatively new medium”. I agree, blogging is better for the long haul and just just can’t beat the no price tag either! Blogging builds the credability and adwords is just an ad. They do really work! They display all the information, data and statistics, pay at the time, have high bids, do not shave (it is true!!!). For those, who are looking for a Pay per click or pay per action- it is very profitable to merge pills by this site! Check their site- they have all the required info! Thank you Tomato team, this article was beyond helpful! Like you said “Blogging gives you a voice” – well I feel like I just heard the voice of a friend. Jim – the longevity part is the best about the blogging. Pay per click is like a drug that gives you instant staisfaction but as you said once you stop paying it is long gone until you pay for a new fix. Blogging costs you in time initially but in the end and long term results can be much better and cheaper than pay per click. This sounds great, I think a lot of people would benefit about learning this new technological way of marketing! I think the biggest reason is that the public, who want a knowledgeable agent, can easily find your blog content and see the age of the articles. If you have recent content… they know you’re still active and on the ball. Excellent post. Thank you for posting this. I enjoyed it alot. As a long term strategy good SEO both on page and off page is a very economical way of getting traffic. In the short term PPC has several advantages including keyword discovery,rapid generation of traffic and the ability to instantly craft a message should market conditions change quickly. I think that both are vital to a healthy web presence. Love the blogging advice and the organic search data your sahed.